Originally affiliated with the Evangelical Library UK, our library has been the longest active component of our work. 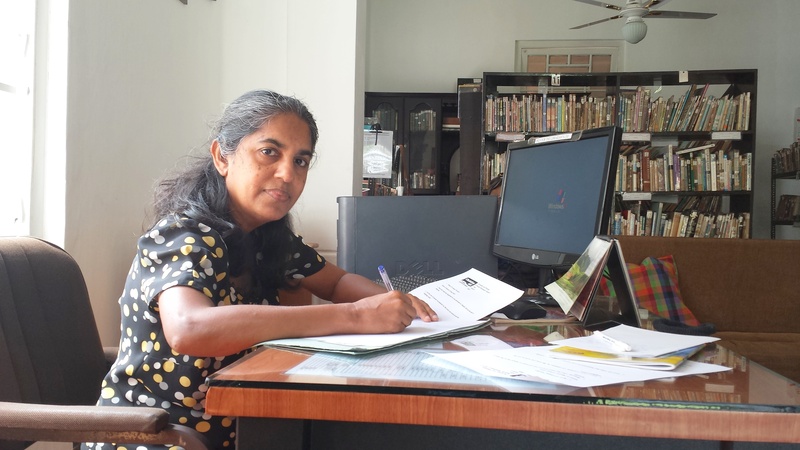 For many years the library hosted the largest collection of Christian literature in Sri Lanka. Mrs Irene Perera, the former chairperson, would not not shelve a book unless she had personally read it and could recommend it to our members. This dedication and passion extended to all our staff and members. At present, we have a small group of staff and volunteers who recommend books and help our members navigate our bookshelves. For a small annual fee, members can borrow an unlimited number of books. In 2010, a group of volunteers cataloged the entire collection of library books. All our books were tabulated and entered into a database, which led to the creation of a computer based check-out system. This system is now in active use. Over the years, the library has been housed in multiple rental premises. It is currently located on the outskirts of Colombo in shared accommodation with the Montessori and School. It is our prayer to re-locate to a more central venue to encourage footfall and wider reading of Christian literature. We also plan to launch a book club and expand our reach through new media, connecting the next generation of readers.